Sustainable building involves considering the entire life-cycle of buildings, taking environmental quality, functional compatibility and future values into account. In the past, attention has been primarily focused on the size of the building stock. In many countries, quality issues have hardly played a significant role. However, in strict quantity terms, the building and housing market is now saturated in many countries, and the demand for quality is growing importance. Accordingly, the policies that contribute to the sustainability of building practices should be implemented, with recognition of the existing market conditions. 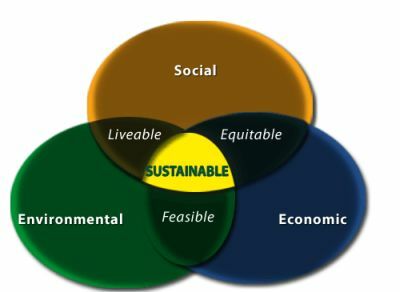 It needs to be especially mentioned here that sustainability cannot be seen in isolation, as it has very meaningful linkages with economic as well as social parameters, without which it will not be accepted by the society at large. Creation of new markets and opportunities for sales growth. Cost reduction through efficiency improvements and reduced energy and raw material inputs. Creation of additional added value. Reduced waste, effluent generation, emissions to environment. Reduced impact on human health. 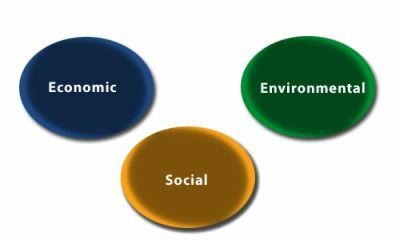 Based on these considerations, sustainable development can be better represented through an image of three concentric circles. 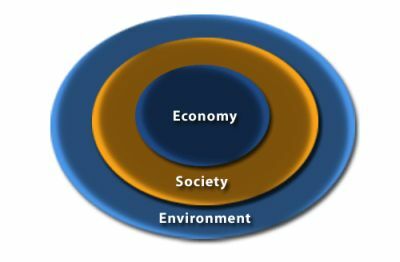 This illustration highlights how the economy exists within a society, and how both economy and society exist within the environment. 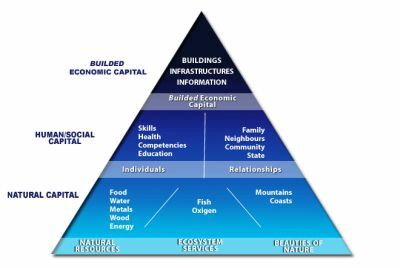 In this way, it is possible to configure a Pyramid of Sustainability. The environmental dimension, constituting the base of the pyramid, by supplying natural resources and ecosystem service, has a fundamental supporting role to the economic and social dimensions. Hyderabad Paws is a monthly magazine trying to create awareness about green architecture. Would like to invite the the architects and the architect students to post their valuable suggestions and participate in the poll on our FB page. Below is the link of the debate that we have posted on FB page too.. We await your valuable suggestion! !